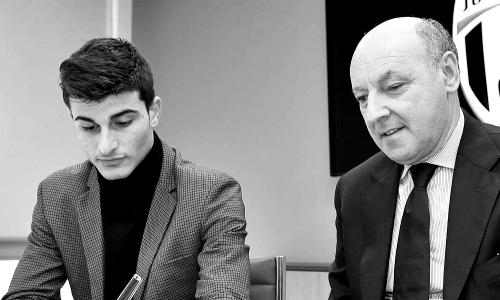 According to the statement on official website of Bianconeri: “ Juventus Football Club can today confirm that Riccardo Orsolini has agreed on a switch from Ascoli until 30 June 2021 for a fee of €6 million. This sum, payable in two financial years, may increase by a further €4 million upon achieving certain conditions over the duration of the contract. At the same time, Juventus has reached an agreement with Ascoli for the free loan of the 20-year-old winger until 30 June 2017. “With strong technique, physicality, positional sense and dribbling ability all in his locker, the left-footed winger Orsolini has emerged as one of the revelations of this Serie B season. Born in Rotella, a village within the province of Ascoli Piceno, the 19-year-old has risen through Ascoli’s youth ranks to become an ever-present in the first team so far in 2016/17. Orsolini exploded onto the scene last season with Ascoli’s Primavera, netting 17 times in 21 league appearances, as well as bagging a further three in the Viareggio Cup and two in the Coppa Italia. Such form saw him instantly promoted to the first team for the second half of the 2015/16 campaign and he has taken his game to another level still this term scoring four goals and providing four assists from his wide forward position. Naturally left-footed, Orsolini has been an extremely effective outlet on the right wing too and has excelled both in a 4-3-3 and 4-3-2-1 formation. His wide-ranging skillset has seen him flourish also for Italy’s Under 20s, for whom he has already found the target after three appearances. Already one of the most exciting talents in the Italian game, Orsolini will now look to develop further with Juventus.” said in a statement.